AMD Zen 2 Release Date, Specs: What Does MSI Has To Say About Motherboard Compatibility Issue? Apple's devices are like upcoming movies as many of its customers are waiting for the release of its devices, including iPad Pro 2018. Many tech experts predict that the new iPad Pro will be launched at the Apple event earlier this month. Surprisingly, no device appear this month. So this device is rumored to be released in October. As mentioned earlier, the launch of Apple products is like movies. Many people are waiting for a leak of the release date of the devices. Speaking of the leak, a reputable leaker, Guilherme Rambo, claimed that he discovered mentions of ‘iPad2018Fall’ in the code for iOS 12.1, suggesting the iPad Pro 2018 could be launched this autumn. Although iPad Pro 2018 did not show up this month, there are images leaked by OnLeaks for an article on MySmartPrice suggest that the iPad Pro may be given a huge makeover. Images show that the iPad could take inspiration from the iPhone X by reducing the bezels to have an all-screen design. The alleged iPad 2018 images also show the home button appears to have been ditched. This could mean that iPad may have Apple’s Face ID technology that allows users to unlock their device simply by looking at it. 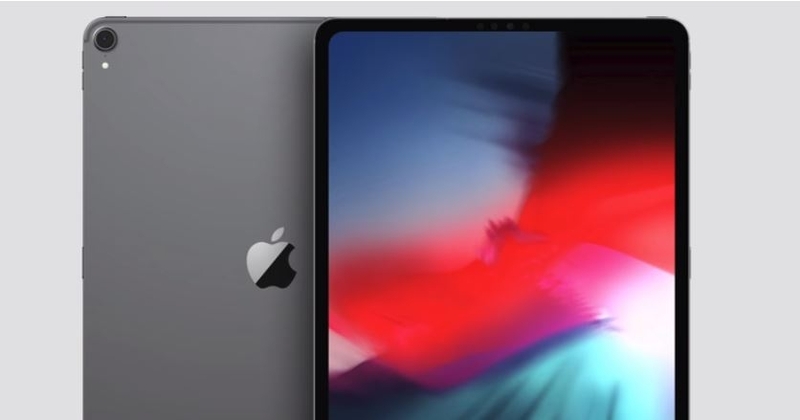 Although some images sport the iPad Pro 2018 ditched the home button, one image suggests that the iPad could also feature a new button on the side of the device. Other rumors circulating online suggest that the iPad is bigger than the 2017 version. Recently, Apple released iOS 12.1, and has given its loyal users a peek at a new feature: Memoji syncing. Memoji is a type of Animoji, which is currently only supported on the iPhone X and 2018 models. But since the new version of the app is adding support to the iPad, this would mean users would want to sync their characters between each device. Aside from that, the syncing of Memoji will be through iCloud. The Memoji is only enabled for Apple internal builds of iOS 12.1 at the moment. Currently, when you create custom Memoji on one device, it won’t show up on your other devices because it is only supported on the iPhone. The price for the iPad Pro 2018 remains unclear. Last year, the price of iPad Pro 10.5in costs between £619-£769, depending on storage and data options. As of now, fans may guess the price based on previous launches.